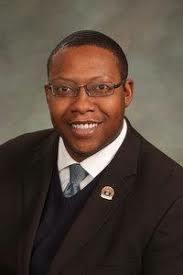 You’ll recall The Denver Post‘s October bombshell report on Democrat State Representative Jovan Melton’s very-well-documented abuse of women. Our repeated congratulations to Colorado Democrat leadership, who totally/obviously/clearly hadn’t the slightest clue that they had a woman-beater in their mix (that’s sarcasm folks). Brave stuff, gang. Keep walking that walk. After some initial huffing and puffing (including former Denver Mayor Wellington Webb’s remarkable insistence that Melton was somehow the victim of a racially-motivated smear campaign… because journalists uncovered that Melton beat women…? ), those same Colorado Democrat leaders ultimately chose not to act as Melton cruised to reelection in his overwhelmingly liberal district this past November. The hypocrisy would be hysterical if, you know, this wasn’t about a State Representative beating women. But that’s exactly what this is about. “Given the gravity of the situation and the impact on his constituents, as well as public confidence in the state legislature, we encouraged him to resign. Ultimately we made it clear that it was his decision whether to step down from his position,” wrote incoming Speaker KC Becker and Majority Leader Alec Garnett in a statement. This, from the party who demanded that we “believe women” during the (now-Associate Justice of the Supreme Court) Brett Kavanaugh hearings. There’s only one way to put a bow on this: incoming Speaker Becker and Majority Leader Garnett believe women. They just won’t do anything to help them.